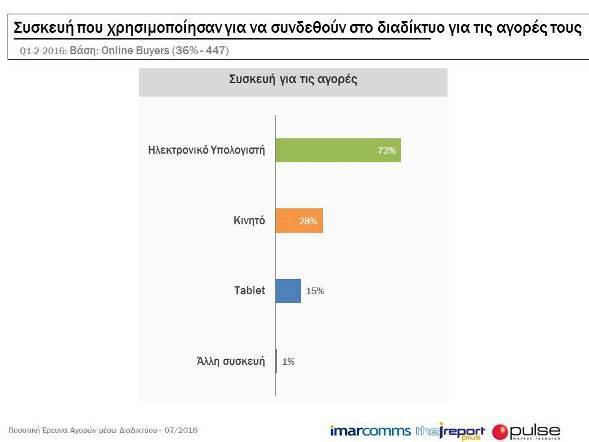 The results of the second quarter of 2016 of the subscription tool for measuring and analyzing online shopping in Cyprus - the I Report Plus - were announced today by Interactive Marketing Services Company, ImarComms. 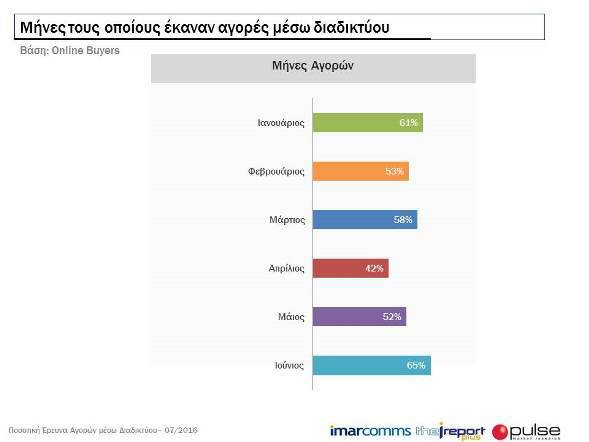 The I Report Plus tracked the online behavior of the Cypriot consumer for the second quarter of 2016 with June recording the highest buying traffic of the quarter with 65%, May being second with 52%, and April being third with 42%. The age groups that had the highest percentage of purchases per month were: the age group 45+ for April and the age group 25-34 for May and June. Overall, the online purchases for the second quarter of 2016 were recorded at 39%, with an increase of 3% from the previous quarter. The I Report Plus recorded that most online purchases were made from a personal computer with 73%, followed by mobile phone with 26%, and Tablet with 15%. The age group that had the highest percentage of purchases via a personal computer was the age group 45+, and from mobile phone and Tablet the age group 35-44. The most purchases were made from home by 92%. 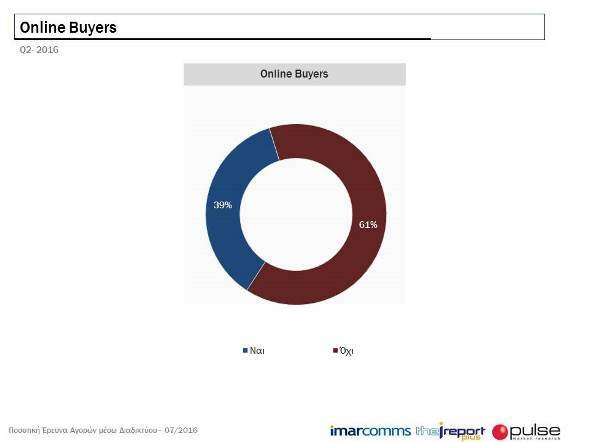 Regarding the websites and online shops from where the purchases were made, the I Report Plus recorded as first Ebay with 41%, as second Amazon with 15%, and as third Asos with 12%. Also from the other online shops, the I Report Plus recorded in the Top Ten among others - Ali Express with 7%, Ryan Air with 4% and Skroutz with 2%. "The I Report Plus recorded a significant increase in the online purchases for the second quarter of 2016, mainly due to the increased purchases of air flight tickets and the bookings at hotels, while it is remarkable that the most purchases of such type were made from home and from a personal computer," said Pericles Ellinas, CEO of ImarComms.